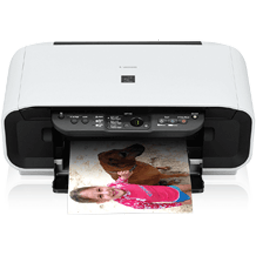 You will find here the latest drivers, Windows and Mac, for your compact and stylish all-in-one photo printer Canon PIXMA MP140. Ready to get more done, right at home? This Photo All-In-One gives you the Print-Copy-Scan performance you've been looking for. Its patented print head technology lets you create beautiful, long-lasting photos, from credit-card size up to 8.5" x 11". Your copies will now be truer to your originals' images and text. And, the unique Z-Lid expansion top lifts approximately 1-inch vertically and lets you produce clear, complete scans—even of thick originals like personal notebooks. Windows 8.1 has been added as a supported OS. - Windows 8 has been added as a supported OS. - Windows 7 has been added as a supported OS. Once a print job is not correctly finished, the subsequent printing is also not correctly finished. This failure has been corrected. When the ''Cancel Printing'' button displayed on the dialog box warning the cover is opened is clicked, printing cannot be cancelled in some cases. This failure has been corrected.